What does it mean to give feet to dreams? Spend some time with MyTEAM TRIUMPH, and you’ll see. This non-profit organization pairs physically challenged individuals, referred to as Captains, with able-bodied athletes called Angels. Together, the teams participate in endurance events. In the process, they create bonds of friendship that change lives forever. Captains and Angels have made regular appearances before Focal Flame lenses – both during race season, and in a currently-under-production video project. (Stay tuned.) 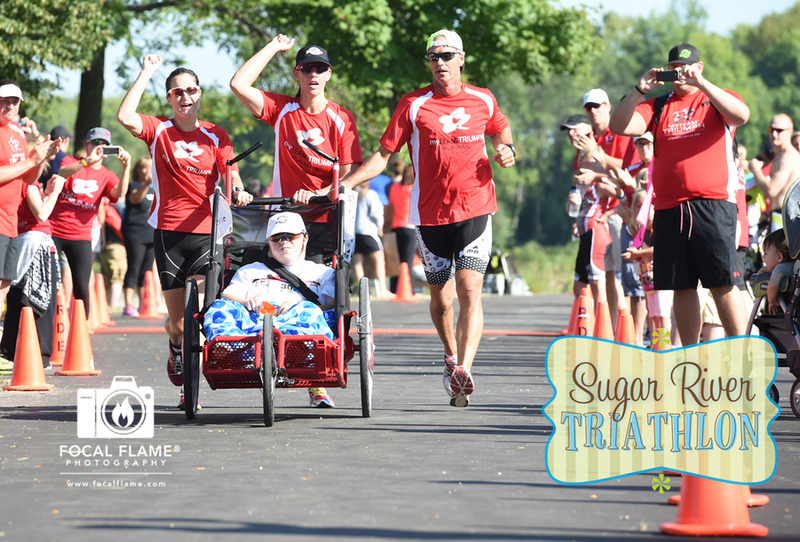 We recently caught up with MyTEAM TRIUMPH Central Wisconsin Regional Director Lee Dalgety as the organization geared up for its “Black Tie Tri Shorts Gala” on Saturday, November 22, 2014. Focal Flame Photography: What are your most proud or favorite MyTEAM TRIUMPH moments from 2014? Lee Dalgety: Each race brings a different moment, as every time we see a special interaction between the captain and their athletes. If I was forced to pick I would say mine was watching two staff members not only attempt their first sprint triathlon but do it with a Captain. Their look of joy crossing the finish line was incredible. Focal Flame: What goals does the MyTEAM TRIUMPH Central WI region have for 2015? Lee: Growth and inclusion. We would like more captains included in more races. We are increasing our number of races to 15 from 10 (we were [originally] only supposed to do 4) and [we] are constantly working with race directors to increase the numbers allowed to participate. We do consider the safety of the captains and participants, but there is definite room for growth. Focal Flame: Were there any surprises or unexpected challenges faced this year? Lee: The biggest surprise was just how enthusiastically the community and race organizers embraced us. This led to the challenge of potential burnout. All of us are volunteers with regular day jobs and so we were finding there were more events than we could handle, and it was about getting the balance right. Focal Flame: What would you like readers to know about MyTEAM TRIUMPH’s 2014 Captains? Lee: They are the most inspirational group of people you will ever meet. I do not say this lightly. Most of them face challenges every day that you and I cannot comprehend, and yet look at them during events. Who has the biggest smiles? Focal Flame: How about the MyTEAM TRIUMPH Angels this year - anything you'd like to highlight? Lee: I would like to thank the local running and tri clubs in particular. They have embraced the concept and made it their own. We have a little friendly rivalry going on and at the same time they are forming relationships with the Captains that go beyond just the race. Focal Flame: What's the best way for readers to get involved in MyTEAM TRIUMPH? Volunteer. These events are logistically challenging, especially with many Captains. The more hands the better. Become an Angel. We have events to fit all distances and proficiency. This is the best way to get to meet new people. Donations. We are a non-profit organization and rely on fundraising and donations to pay for event entries and the equipment the captains need. Focal Flame: Given all the effort involved in leading a regional chapter, what motivates you? 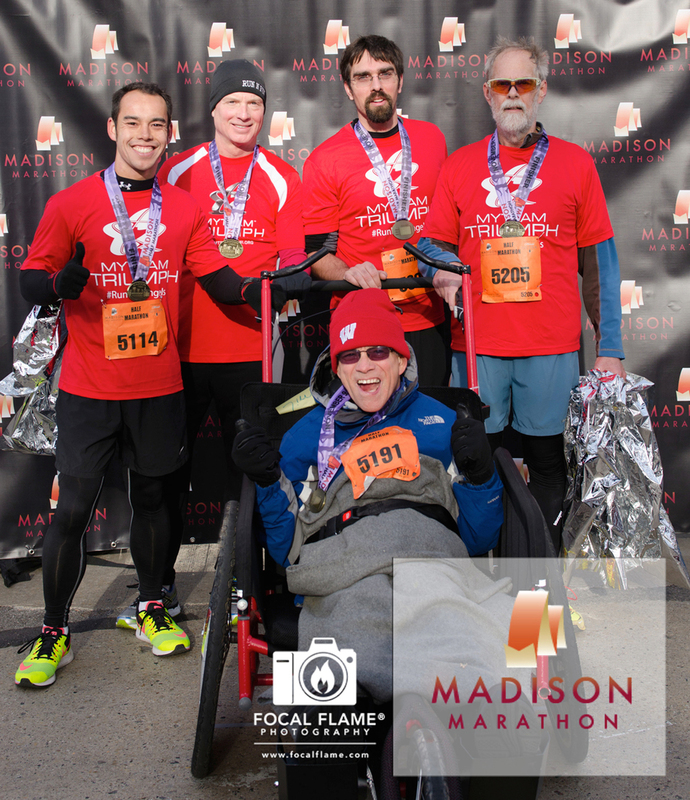 Lee: [I can sum this up with my experiences with] Captain Mike during the recent Twin Cities Marathon. He waved, smiled and roared at the crowd for 26.2 miles and they roared back. Lifting his arm is physically exhausting for him, but he did it every time someone cheered him on. I cried for the last two miles. That is what motivates me. Focal Flame: If you could tell people just one thing about MyTEAM TRIUPH, what would it be? Lee: Join us, it will change your life! 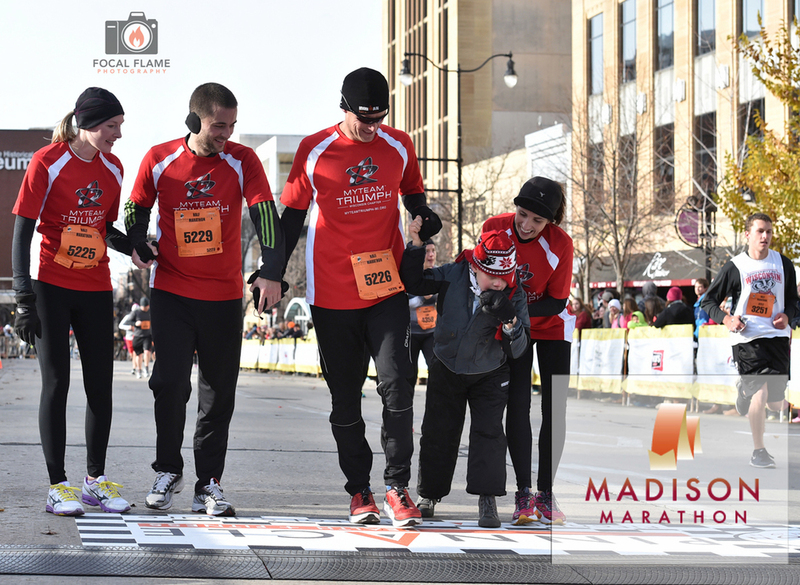 Celebrate the achievements of the MyTEAM TRIUMPH Central Wisconsin Region at the “Black Tie, Tri Shorts” gala on Saturday, November 22! Proceeds will help the chapter prepare for an amazing 2015 season. Sign up here. Focal Flame Photography is honored to provide photography services at the MyTEAM TRIUMPH Gala.